October is breast cancer awareness month, and for many people that means taking part in marathons, drives, fundraisers and other events to raise money and awareness about this horrific disease. We’ve also seen a number of breast cancer survivors and ordinary women launch their own smaller campaigns in order to show other survivors and those currently suffering that they are not alone. In the US, every 2 minutes a woman is diagnosed with breast cancer, it is the most common cancer among American women. Over 40,000 women die from the disease each year, which is why funding and awareness are crucial. When we hear statistics like the above, it immediately makes us want to get involved and make a difference. While attending a specific event may not be possible, one company is making is pretty easy for people to take part this year. If you have ever traveled by land around the US, you may be one of the more than 50 million customer to have bought a ticket on Megabus.com. They are the first affordable, express bus service to travel to more than 120 major cities in the country, including Atlanta, Chicago, Baltimore, Los Angeles, New York, Philadelphia, Houston and more, with rates as low as $1. Megabus is a subsidiary of Coach USA, one of the largest transportation companies in America. 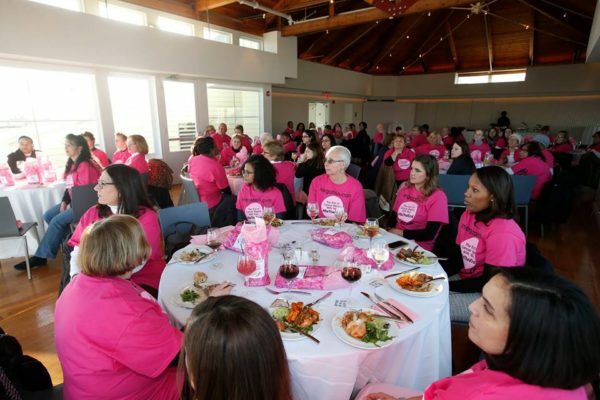 This year they wanted to do more than just drive customers from one city to another, they want to drive awareness and funding toward breast cancer in their partnership with the Breast Cancer Research Foundation. For every ticket sold on October 18, Megabus will donate $1 to the Foundation. If you aren’t planning a trip anytime soon, there’s another way you can ensure your voice is part of their campaign. 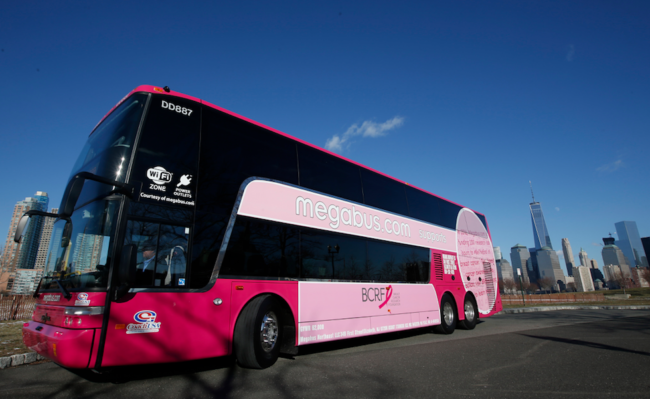 For every use of the hashtag #megabusGoesPink on social media, the company will also donate $1 to the Foundation. Yep, it’s literally as easy as tweeting up a storm to help Megabus support the Foundation’s important research. The BCRF have just announced a $57 million commitment to breast cancer research going into 2017, which will aid more than 250 scientists at leading academic and medical institutions in 14 countries. With so much medical advancement and technology, it would be easy to think we are close to finding a cure. However, the World Health Organization predicts that more people will die from cancer by 2030 than from AIDS, malaria and tuberculosis combined. This is no joke. It is exactly why President Obama appointed Vice President Joe Biden (who tragically lost his son Beau to cancer in 2015) to head up the Cancer Moonshot task force in his final State Of The Union address earlier this year. We still have a long way to go and it is clear BCRF is leading the way on this. As the country’s largest non-governmental, nonprofit funder of breast cancer research, the Foundation looks at the full spectrum of breast cancer research from prevention, diagnosis, treatment, survivorship and metastasis. 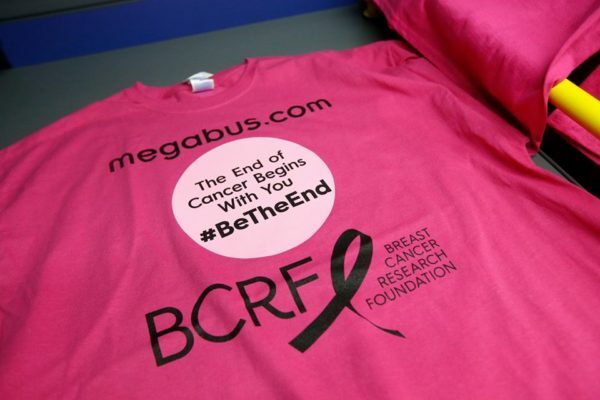 Megabus’ choice to partner with the Foundation was not by chance, either. Many of their own employees have faced this disease across family and friends, not to mention the thousands of passengers who use their transport system across the US every day. They want be part of the movement which can hopefully one day claim cancer has been cured. In her book ‘The Women of The Rose’, author Dorothy Gibbons, who is also the co-founder and CEO of The Rose, a Texas-based non-profit which has helped hundreds of thousands of women access mammograms, diagnostics and access to treatment and care since it began in the late 1980’s, shares numerous stories of how far some women are willing to travel to get the right care they need. Aside from their brick and mortar clinics, Dorothy and her team have invested in mobile units over the years because although they are now serve a 35 county area in the Southeast of Texas, not every woman needing treatment has had the ability to funds to travel to get help. But there are many women elsewhere around the country who don’t have the luxury of being near enough to any of The Rose’s mobile units. This is where Megabus is making a difference. By ensuring low, competitive rates for some of their routes, they have become a service that helps people travel to access the healthcare they need, for example, and ensure travel costs do not become a barrier. Along with their partnership with the BCRF, they are driving the message home about the need to raise money for a cure for cancer. Aside from purchasing a ticket on October 18 or using the hashtag there is another way Megabus is encouraging people to take part in their campaign. 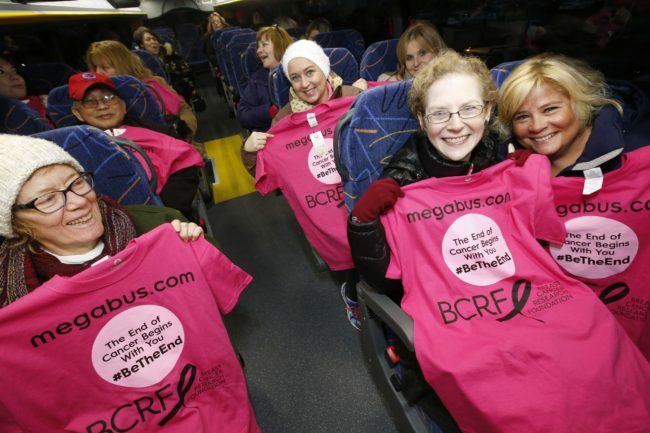 If you happen to spot the PINK BCRF bus on the road, be sure to snap a picture and share it on their Facebook page for your chance to win a $50 voucher. This is a sponsored conversation written by us on behalf of Megabus. The opinions and text are all ours.